We hear about companies buying up other companies all the time, but the latest acquisition is a pretty interesting one. 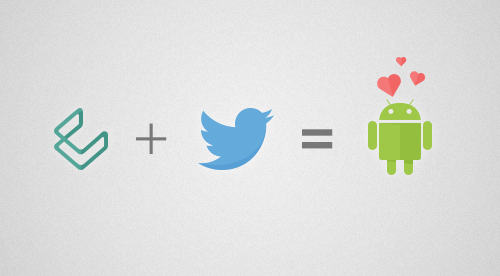 Twitter has recently acquired Cover, an Android lock screen app that was launched just six months ago. Cover has just shared a blog post saying that the entire team will be joining the micro-blogging site at its headquarters in San Francisco. In case you have no idea what Cover is, available in the Play Store, it is an app that will take over your lock screen, giving you instant access to the apps you need, when you need them. This means that when you’re at work, Cover will place your most frequently used apps – Gmail, Evernote and such – on your lock screen. When you’re at home, the apps will change to the ones you usually use at home, like Facebook, your favorite game, and Twitter perhaps. Cover will automatically learn the apps you use in different locations. So what will happen after the acquisition? According to the blog post, Cover will remain as it is in the Play Store, but the team will be joining Twitter and they will work together to create even better stuffs for the future. Unfortunately, details about the deal has not been announced. Find out more about Cover by downloading it onto your Android device via the Play Store.